Click the image for the location on Google Maps! 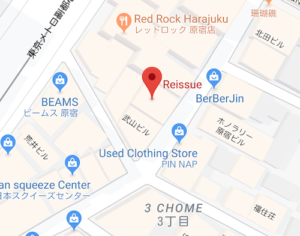 Reissue is located on a side street in Harajuku on the second floor of a building, so it’s a little bit hard to find. Just keep an eye out for the sign on the street! Walk up a set of stairs and you’ll be greeted by a cozy, warm café. When my husband and I tried to go the first time, we were on a tight schedule and there was a 30 minute wait (we went around 1 pm on a Sunday), so we came back around 10:30 on a weekday (they open at 10 am). Unfortunately, they don’t take latte art orders until 11 am, so keep that in mind if you’re trying to get in early to beat the crowd! Each person that visits the café is required to order something, too, so you can’t have a table of two and only order one item. The wall by the stairs you enter from had all kinds of fun things to look at, including photos of past latte art designs and items for sale. Be sure to read to the end of the post to see what souvenirs I bought! 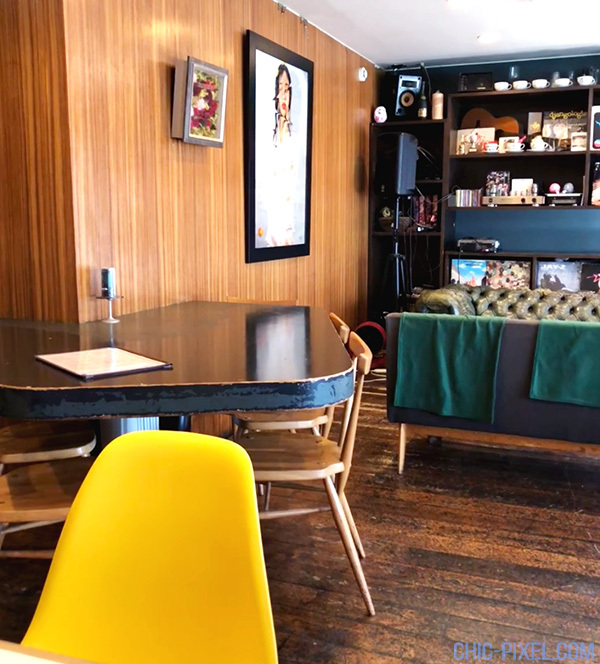 The drinks generally run around 600 yen each, with an additional 400 yen charge for art, so one latte art drink will cost you about $10 total. The menu has both Japanese and English text, and you can either tell the staff the design you want (don’t forget to specify 2D or 3D!) or show them a picture of the person, character, or whatever else you want immortalized in latte foam. Don’t be shy to get wild with your design ideas – just check out the latte artist’s Twitter to see all the different designs he’s done in the past! 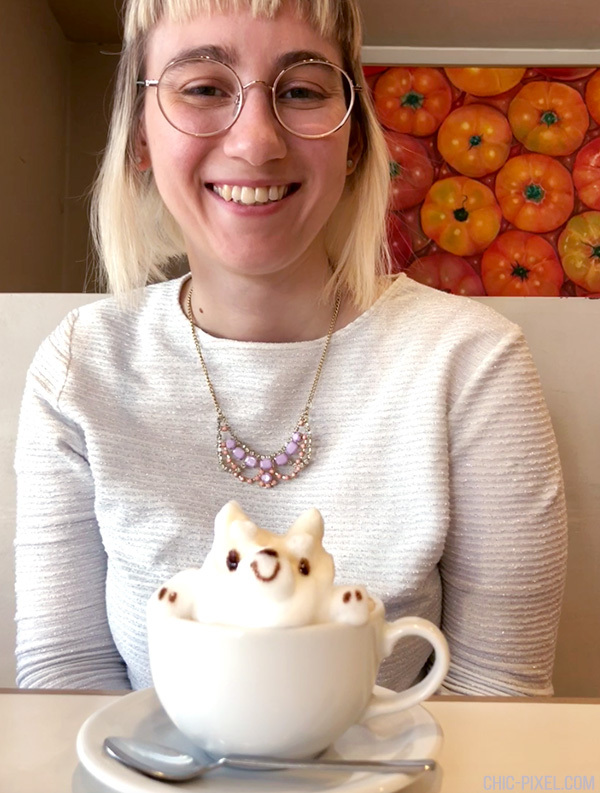 I opted for a 3D shiba inu in honor of Pai Pai, and my husband ordered a 3D Moogle latte because he loves Final Fantasy. The barista even tweeted an adorable gif of his Moogle before sending it off to our table! If you’re lucky, he might tweet about your order, too! Of course, the lattes were unbelievably cute. It’s really impressive how the barista is able to take nearly any character and transform it into a cute latte. And the coffee was lovely, too! If you’re not a fan of Japanese coffee this probably won’t change your mind (many people find it weak), but I thoroughly enjoyed it. 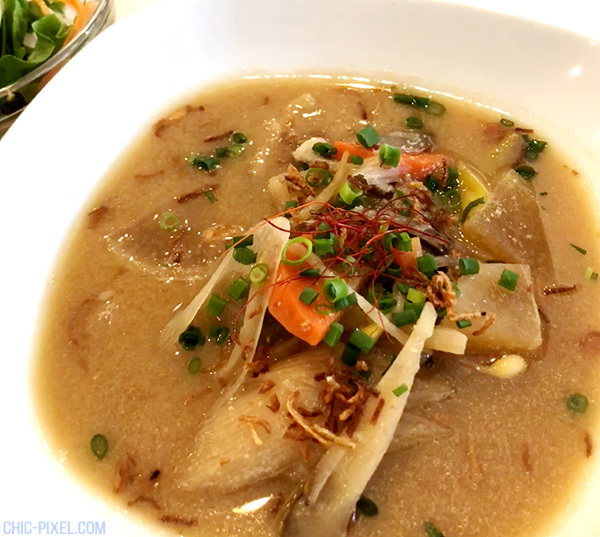 We also grabbed lunch while we were there, which was reasonably priced and also very tasty. While I would recommend Reissue for the latte art first, don’t shy away from ordering some food if you’re hungry when you arrive, too! 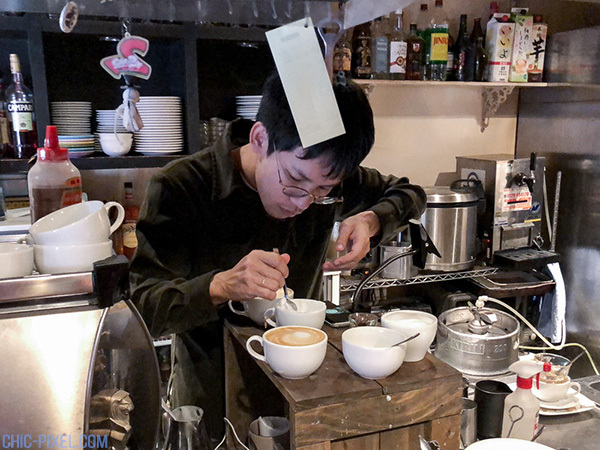 On the way out, I was lucky enough to have a quick chat with the barista and watch him make another customer’s latte. He keeps his phone over his work station to pull up an image of the design he’s making to refer to as he’s creating it. I still can’t believe it’s all done with foam, and no artificial colors! He also mentioned that they recently have been having an influx of Australian customers. I guess word is getting around! 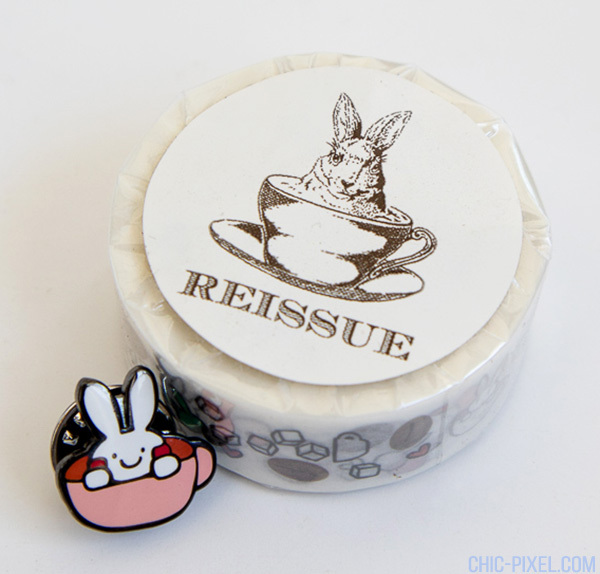 Reissue also happens to have a really cute logo of a rabbit in a coffee cup, so I had to grab a pin and washi tape featuring the adorable design to commemorate the trip! 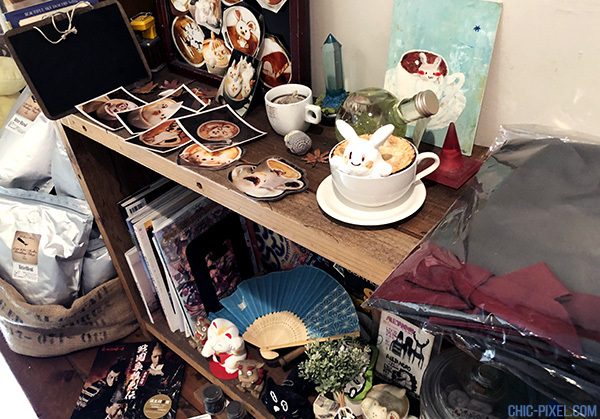 If you’re a fan of adorable latte art, I highly recommend putting Reissue on your list if you have a day to visit Harajuku. 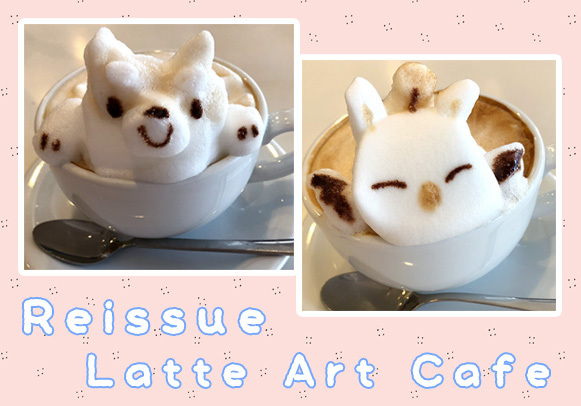 It may only take you a few minutes to drink the latte, but the adorable photos will last a lifetime!